We are Salesforce consultants, helping our customers improve productivity and profitability by optimizing their Salesforce implementations. Our goal is to deliver the results you need. Re-think your business by leveraging the Salesforce platform. Salesforce is a “platform of platforms”, fully customizable. Easycloud will guide you to your Salesforce implementation project. We will take you to the next level! Salesforce is a "platform of platforms", with thousands of third-party applications and the possibility of custom development. Easycloud accompanies you in the transformation of your Salesforce. Implementation focus on helping you achieve success with Salesforce solutions. We combine industry best practices and the right technology standards to implement tools that take you to the next level. A successful project always consider people, process and technology. Validation with stakeholder is the key to deliver tangible results in day one. We believe no two companies and projects are alike. It's important that your Salesforce will fit your needs and company culture. It's important to implement an in-depth analysis of your company in order to understand your business. We will offer solutions on how to enhance your overall performance with Salesforce. Salesforce is a highly customizable and extendable solution. 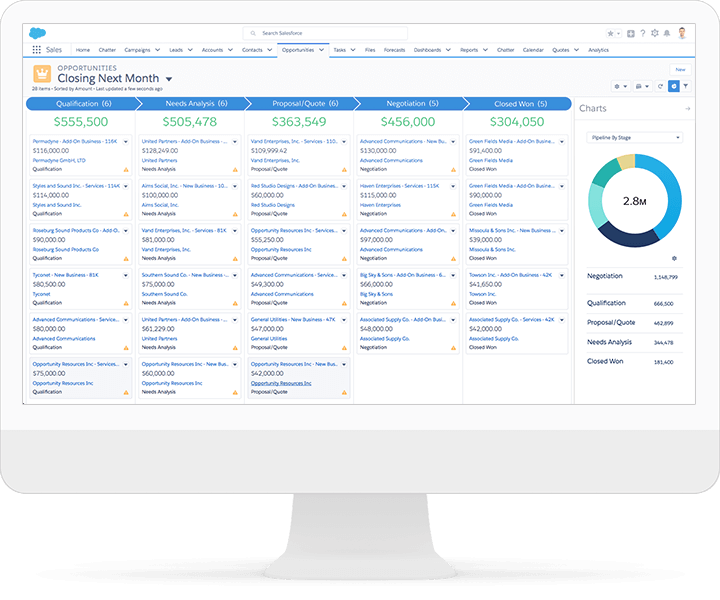 With 3 major releases every year, be proactive and enhanced your Salesforce with ongoing improvements. Enhance your business processes with custom predictions and recommendations. We are experts in creating custom integration adapters to deliver a solution that meets the complex needs of your organization. 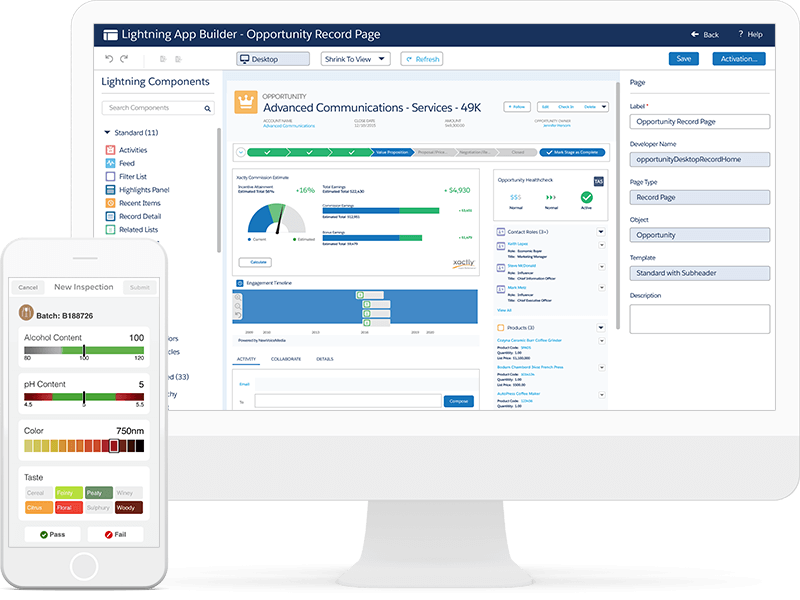 Lightning is already the new Salesforce. We will help you develop and customize your Salesforce to be Lightning Compatible. 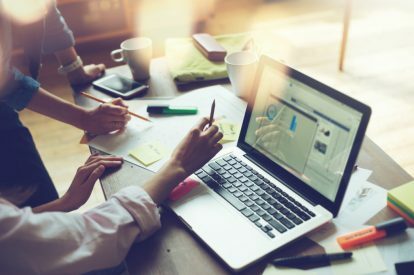 We take a critical look at your organization’s operations to minimize the resources required to get things done by using Salesforce technology. We help integrate your solutions by using Salesforce. Get a single integrated business process management environment. Salesforce is a fully scalable platform. We combine standard functionality with development efforts to deliver a solution that meets complex needs. We import data from any systems to your Salesforce. We are involved in the entire data migration process, from the import to the testing. A successful Salesforce project relies on your user’s ability to adopt the platform. We offers personalized training sessions with specific designed content. Implement Salesforce is not a one step process. Each project is unique and we divided it into different stage and employ experts at each step. Our process is an approach powered by new and fresh ideas from our experiences on Salesforce. By involving our clients in an iterative approach, we deliver results quickly and by achieving remarkable outcomes through change in process and business models. Delivering high value to your Salesforce usage.